Hello, friends and happy Wednesday! I'm currently working on some Christmas shopping and figure that I'm most likely not the only one who is running a bit behind :) Don't worry, there's still plenty of time! As I was compiling this list of gifts, I noticed that pretty much every single item listed will still arrive in time for Christmas with standard shipping. Anyways, this gift guide is packed full of 25 (well, 26) gift ideas for under $25. I love finding gifts in this price range for a few reasons. 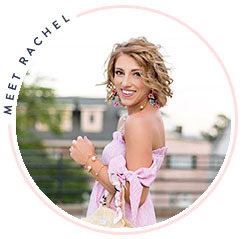 They make the perfect gifts for girlfriends, your sister(s), and my favorite, stocking stuffers! Seriously, it's a great idea to stock up on gifts under $25. 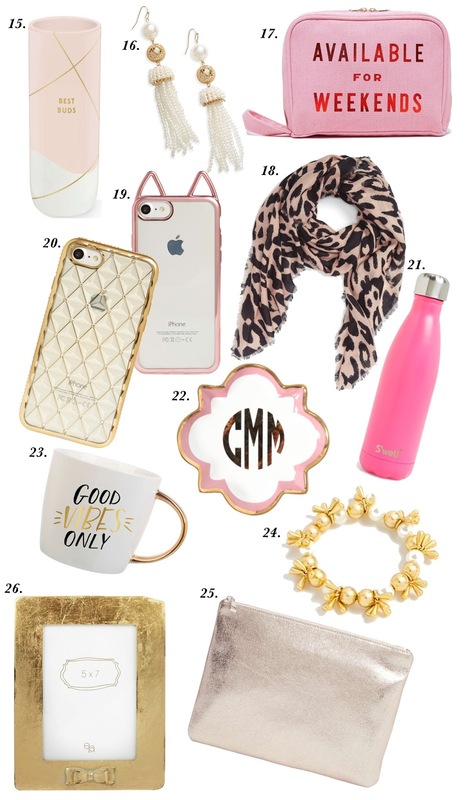 Every single on this list is so cute, girly and glam. I know I'd love to have one of each thing listed. Now for a few words on some of the items listed above. I ended up featuring a few of the items from my gifts under $50 gift guide once again, because they are so good! 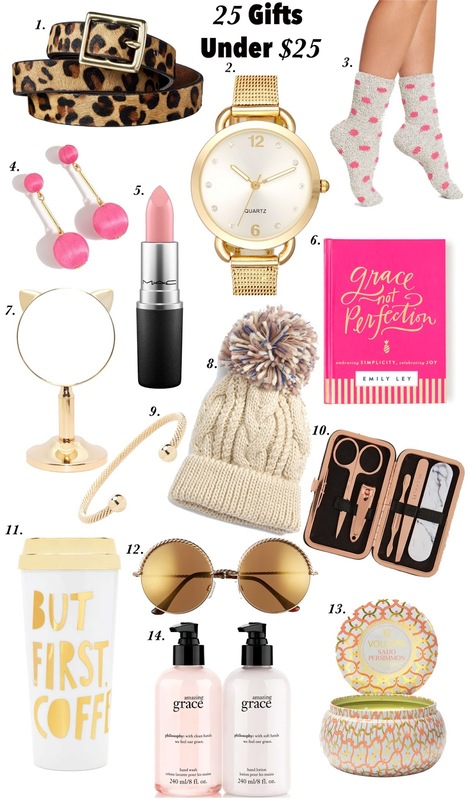 First off, how darling is this kitty mirror (#7)? And secondly, I had to feature this "best buds" vase (#15) again, because it's the perfect gift for your girlfriends. Next on the list, these socks (#3)!!! They are my Mama's absolute favorite socks...so soft and cozy! You can purchase three pairs for $18! This book (#6) was sent to me from one of my favorite people to follow on social media...Emily Ley! I have always loved her planners and her overall aesthetic for life. But she is also an amazing author. True words from a woman of God and a mother. This book is amazing for any woman and is such a great, encouraging read. Next up, this BOW photo frame (#26) is also a favorite of mine. I have it in Madeline's room, and it's the sweetest thing. I picked up these earrings (#4) over the weekend and absolutely love them. They're currently 40% off with the code TIME2GIVE, making them only $14. A leopard belt (#1) would also be the perfect gift. The last thing I'll mention is this trinket dish (#22). 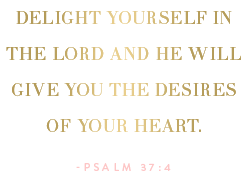 Pink, gold and a monogram...yes, please! Well, that's about it for this guide! I hope it helps y'all out if there's some shopping you're in need of finishing up.